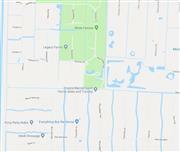 3830 C RoadLoxahatchee Groves,FL 33470U.S.A. 35 Seminole Pratt Whitney RoadLoxahatchee,FL 33470U.S.A. 1010 C Rd & 1107 D RdLoxahatchee Groves,FL 33470U.S.A. 322 D RoadLoxahatchee Groves,FL 33470U.S.A. Courtesy Of Nancy C Drysdale, Drysdale Realty Inc.
16169 Southern BoulevardLoxahatchee Groves,FL 33470U.S.A. 2240 A RoadLoxahatchee Groves,FL 33470U.S.A. Courtesy Of Carlos Arellano, Southfields Real Estate, Inc.
1483 E RoadLoxahatchee Groves,FL 33470U.S.A.